End of Mayan Calendar and the beginning of a new era, worldwide meditated to 12.12u and 21.00pm. No End of the World on 21-12-2012 but the start of a new era. 21.12.2012 Start of a new era, one of the Mayan Calendars stops today, the long count or also called classical census. The theories are divided over what goes out, but the one I like the best is that a new era is about what connection, the connection with us and with each other. The energy is lighter, and the next time it comes on peace, love and inner peace. Worldwide, there are many people who may or may not meditate together at 12.12 pm and 21.00 pm tonight in order to contribute to the new time. It is up to everyone to take responsibility for a world of light and love. 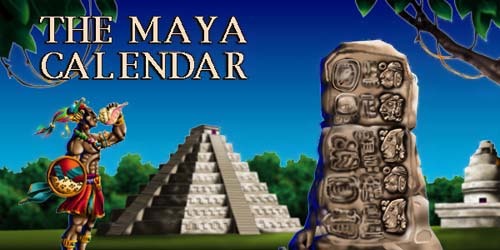 The Maya had many different calendars and the Mayan Calendar that we now often use the Tzolkin, the sacred calendar. So that is different from the traditional calendar. The Tzolkin calendar is a creation, which assumes that everything is cyclic. So you can look at life, themes keep coming back alone or on a different level, a different layer. The Mayan Calendar is not only a calculation, but also gives you personal insight into your themes, your talents and qualities of this ancient wisdom, we can still use. Everything is already there; you do it you just have to remember.